According to our research, there are over a thousand physicians of Indian Origin in Sleep Medicine in the United States. AAPIOS was formed to represent these physicians and to act as a forum to exchange ideas, and work toward improving the awareness of sleep disorders both in United States and in India. AAPIOS has many distinguished physicians including those from Harvard, Mayo Clinic, John's Hopkins to name a few. 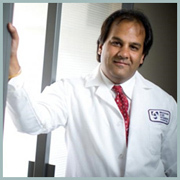 Anuj Chandra, President of AAPIOS, is the founder and medical director of Advanced Center for Sleep Disorders in Chattanooga, Tennessee. Chandra pursued studies in sleep medicine at the Stanford School of Sleep Medicine, the Atlanta School of Sleep Medicine, and the American Academy of Sleep Medicine. In 2004, he became board certified in sleep medicine through the AASM. In 2010, he received an additional board certification in sleep medicine from the ABMS (American Board of Medical Specialities). Besides running the facilities in Chattanooga and Cleveland, he also has an office at the Memorial Regional Sleep Center and reviews sleep studies at Parkridge Hospital (an HCA facility). As a sleep physician, Chandra realizes his impact can reach beyond the doors of his practice to serve his larger community just as his family did back in India. Named one of the Best Sleep Doctors, Anuj Chandra is passionate sleep medicine. Chandra brings in unique qualities including high energy, intellectual sharpness, ability to connect with people and being a compassionate and caring doctor. "To me, [pursuing a specialty in sleep medicine] was a unique opportunity, not only to practice this field as a doctor, but also to educate the entire community," he says. And the community he is reaching is large. Chandra hosts a segment on WDEF Channel 12 News, the local CBS station in Chattanooga, focusing on sleep problems. And viewer response has been good. Since 2005, Chandra has served as part of the international teaching faculty of the National Sleep Medicine Course, a physician education initiative that brings sleep medicine training to his native India. "We have physicians who come from all over India to attend," he says. "It's been very gratifying because people have gone on to start their own sleep centers. We've had such wonderful feedback." Read the article on sleep review magazine profiling and naming him one of the best sleep doctors. 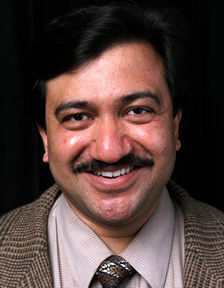 Sanjeev V. Kothare, MD is the current chair of the pediatric sleep disorders and development section. He is the Interim Medical Director and the Fellowship Director of the Pediatric Sleep Medicine Training Program at the Center for Pediatric Sleep Disorders, Children’s Hospital Boston, and Associate Professor, Department of Neurology, Harvard Medical School. He received his medical degree from Seth GS Medical College, Mumbai, India, and subsequent training in Child Neurology from the Massachusetts General Hospital, Harvard Medical School, Boston, MA, and in Clinical Neurophysiology, Epilepsy, and Sleep Medicine at Duke University Medical Center, Durham, NC. His research interests include circadian neurology, epilepsy and sleep, and mechanisms to understand sudden unexpected death in the epilepsy population, besides his interest in sleep disorders in rare diseases. He is actively funded via the NIH with several R21 grants, and is the recipient of the Harvard catalyst. He has authored a book named “Sleep in Childood Neurological Disorders”. Area of Specialty: Neurophysiology and Sleep Medicine. Professional Appointments: Co-Director of Neurology (Clinical Neurophysiology and Sleep Medicine) at the New Jersey Neuroscience Institute, JFK Medical Center, Edison, New Jersey. Medical Director of Eastside Sleep Diagnostic Center and the Newark Sleep Diagnostic Center, Columbus, Ohio. Dr. Samadder is contesting for the secretary of the American Association of Physicians of Indian Origin (AAPI) 2014. 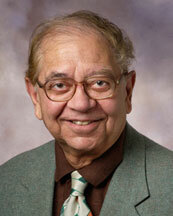 Read the AAPIOS support letter for Dr. Samadder. Medical Director, Poly-Tech's Philadelphia sleep center and W8MD's Philadelphia weight loss center with two offices in greater Philadelphia for both sleep disorders and physician weight loss services. Dr. Tumpati also serves as the medical director of W8MD's NYC weight loss center and sleep clinic in Brooklyn, New York. Dr. Tumpati is passionate about educating both the public and the physicians about the bidirectional relationship of sleep disorders and weight gain. As the founder of W8MD Medical weight loss centers of America, Dr. Tumpati helps other physicians interested in adding a medical weight loss program at their clinic or office in order to help their overweight or obese patients lose weight without surgery using the unique W8MD weight loss centers of America's physician weight loss program.